The plug-in style Cable Organizer neatly stores the Wall Connector cable or Mobile Connector cable when not in use. Note: Does not include the cable and handle shown in the picture. 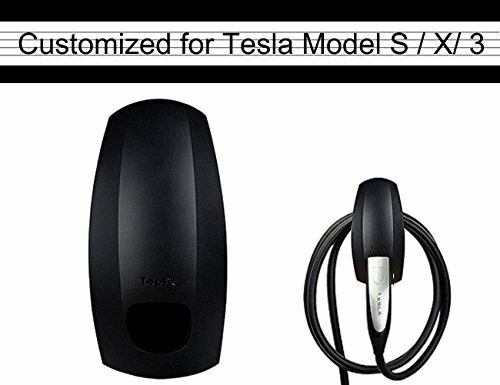 This Cable Organizer fits for Eu Version Tesla Model S and Tesla Model X and Model 3.Warming tips:If you have any other question with this item please feel freely to ask the seller for help,we will return or give the replacement ASAP and try our best to help you to solve problems. Answer:Sure,you will receive a hanger if you order it.The charger is not included in the package. If you have any other questions and problems need our help,we will reply your Email in 12 hour. Warming tips:If you have any problems with our item like quality problems or small accessories is missing.contact us right now,must response you in 24 hours and help you to solve the problems.